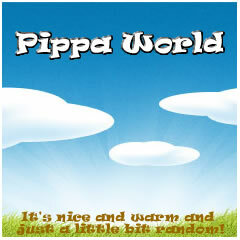 Pippa World: Can we make the World a better place? I've said countless times before that I don't read the news, because I hate that it is always doom and gloom and stories of death, dying, hate, crime and the sort of things that make you wish you had a magic wand to wish it all away. I always said that if something major happens, I'd hear about it. Someone would tell me. With Twitter and Facebook though, I find out a lot quicker than I expect. Sometimes I hear about disasters before the major news channels have it up on their new pages or on the TV. And so it was yesterday when I heard about what is being called the Woolwich Attack, by the British media. When I first heard it, I assumed it was gang related. I assumed that some stupid kids had decided that some more stupid kids were their enemy and had done a stupid thing. I found out that a man willing to put his life on the line to protect his country, to protect those around the world who were being unjustly treated had been murdered, because the people behind the attack figured he was, as part of the British Army, murdering *his* people, rather than liberating a country from a dictator. I say *his* people because as far as I know the people who murdered this solider are British, as was the solider, so surely we are all the same people? Surely the only difference between them was a viewpoint. As always there are going to be idiots posting that without religion this wouldn't happen, there are going to be idiots who think that just because you are a Muslim that you are a terrorist, there are going to be idiots posting racist drivel about how if you don't like this country then you are free to leave. That's not the answer though is it? Really, the only answer I have at this time is that maybe, just maybe if we all were a little nicer to each other, if we all cared a little more about those around us, if we put other people before ourselves and we taught our children that we don't judge based on religion, or skin colour or what ever else people think it's okay to judge other people on the World might be a nicer place.